I am thrilled to be a stop on the book tour for Snow Like Ashes by Sara Raasch, hosted by Rockstar Book Tours! I have a review for your reading pleasure, but be sure to check out the tour schedule below, or click the banner above, for more! "You shouldn't be the one apologizing," Ceridwen's face breaks, her expression unraveling. "He was under my brother's care - Simon is the one responsible. Just because someone has magic doesn't mean they're worthy of it." She doesn't apologize or amend her statement to not include me in it, a monarch who has magic who might not be worth of it, and somehow, that makes me respect her more. I need more people in my life who question me, who challenge me, who can admit I have faults. "I'll refuse to be fascinated by any of their inventions," I promise, and he smiles. "Been playing with the temperature gauge, have you?" He bobs his head in understanding. "The first time I visited Putnam, I missed a state dinner because I broke the temperature gauge and nearly burned my room down. Then I managed to trap myself in one of their" - he searches for the world - "lifts, I think they call them. Rooms that move up and own in lieu of stairs. The whole kingdom is one big trap." I ease my fingers around the chakram, my hand curving into place in its natural stance, every muscle unwinding in a ripple of peace. In never should have been without it. This is me, whoever I am when I hold my chakram. Both the thoughful, careful queen I've forced myself to be, and the wild, passionate girl who pushed her kingdom to teeter on the edge of defeat - but also snatched it back from that edge. Thanks to Leigh Bardugo and Sarah J. Maas I've recently gotten more into high fantasy novels. I can now safely add Sara Raasch to that list. When I first listened to Snow Like Ashes, I immediately fell in love with Sara's writing and story telling. I've found that with audio books my mind can wander, but that was not the case with Snow Like Ashes. I was hooked, engaged, and wanted more. Upon finishing Ice Like Fire, I'm so glad to say that it's just as hooking (that doesn't sound right . . .), engaging, and want inducing. Ice Like Fire picks up a bit after Snow Like Ashes left off. Meira is still trying to get into the mind set of "queen" instead of "warrior." She sneaks out with her chakram to attack snowmen, to the delight of Winter's children, but does her best to be the queen Winter needs her to be and her fellow Snow Like Ashes refugees except her to be. In an alternating narrative, Mather is struggling just as much. He's still coming to terms with no longer being the king and ruler of Winter, while attempting to train Winterians soldiers under the gaze of Cordell. 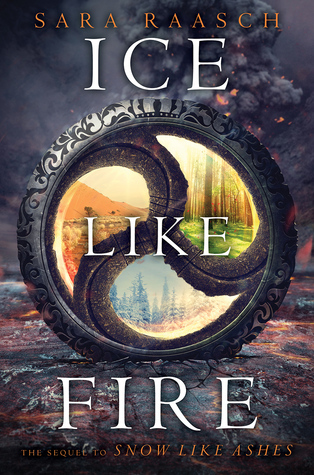 Much like Snow Like Ashes, Ice Like Fire kept me intrigued from the beginning. Although Winter has been claimed and Angra defeated, the Winterians are still fighting for freedom. They have their homes and lives back, but while there is a semblance of freedom they're just as trapped under Cordell as they were under Spring. After finding Primoria’s lost chasm of magic Meira leaves Winter to meet with the other kingdoms in search of help against Cordell and Noam, who is becoming increasing more demanding, while Mather stays behind in Winter with William, a.k.a. Sir. The juxtaposition of Meira's and Mather's storylines makes for a truly engaging read. I love getting to meet the other Rhythms and Seasons and how different, yet similar, they really are. While I enjoy both storylines, I do favor Meira's over Mather's. Watching her struggle between her two identities makes for truly interesting characterization and I enjoy her a lot more than I did in Snow Like Ashes. She is navigating completely foreign territory (see what I did there? ), but is becoming stronger and more sure of herself. She is becoming the warrior queen that Winter needs and the woman she was always meant to be. Sara's writing is spot on. 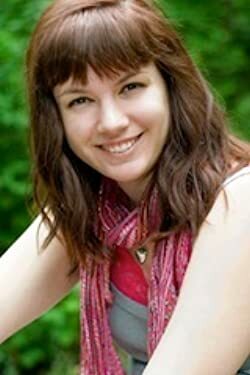 She has created a deeply detailed and vibrant world, full on vivid imagery and unique characters. (Ceridwen, Summer's princess, is my new favorite edition to the series. She is feisty and strong, and becomes the perfect ally and friend to Meira.) If you read and enjoyed Snow Like Ashes, you're definitely going to want to go out (today!) and get yourself a copy of Ice Life Fire.